I'm an army brat, born on base at Fort Knox, KY where my father served. I spent most of my childhood in Kendallville, Indiana. I graduated from East Noble High School and went on to pursue an AS degree in Early Childhood Education. I have 5 beautiful children ages 19, 15, 8, 7, & 5 years old! 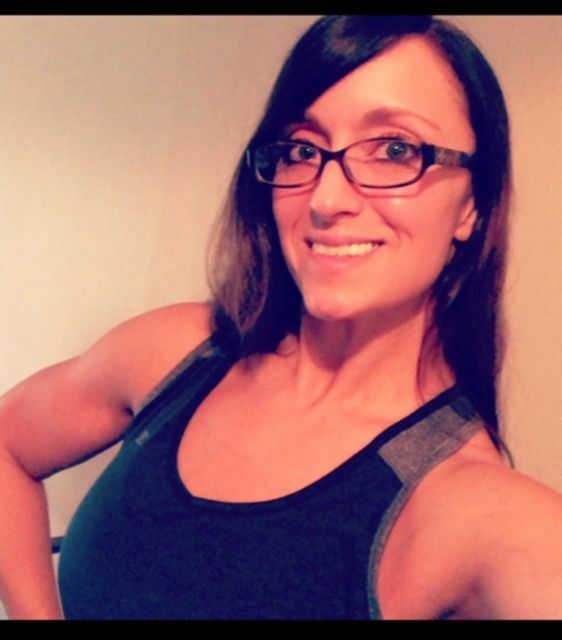 After being a stay at home mom for the last 10 years, I decided to try and turn my passion for health and fitness into a career. I received my certification in personal training in April of 2016 through World Instructor Training Schools and completed my internship at Catalyst Fitness, where I had the opportunity to meet Jason Minich and his amazing team. I was very excited to become a part of the Catalyst Fitness family in November of 2016 and I envision a bright future for me here! I hope to continue to learn from the other personal trainers here as I work towards earning an additional Personal Training certification through ACE as well as becoming a Youth Fitness Specialist. I love children and I get excited about the opportunity to have a positive impact on their health and wellness as well as teach them from an early age about living an active and healthy lifestyle! My favorite exercise is squats!! I love working my lower body and feeling strong, so squatting is the perfect exercise in my opinion! I also love working my back and shoulders, lat pulldowns and lateral raises are my favorite exercises for these muscle groups. My least favorite exercise would be anything for chest...I tend to neglect it more than I should. Working on that! Outside of my passion for fitness, my other hobbies include drawing/painting, dancing, spending time with family and anything outdoors! !